Like dark fingers, cold ocean waters reach deeply into the mountainous coastline of northern Norway, defining the fjords for which the country is famous. 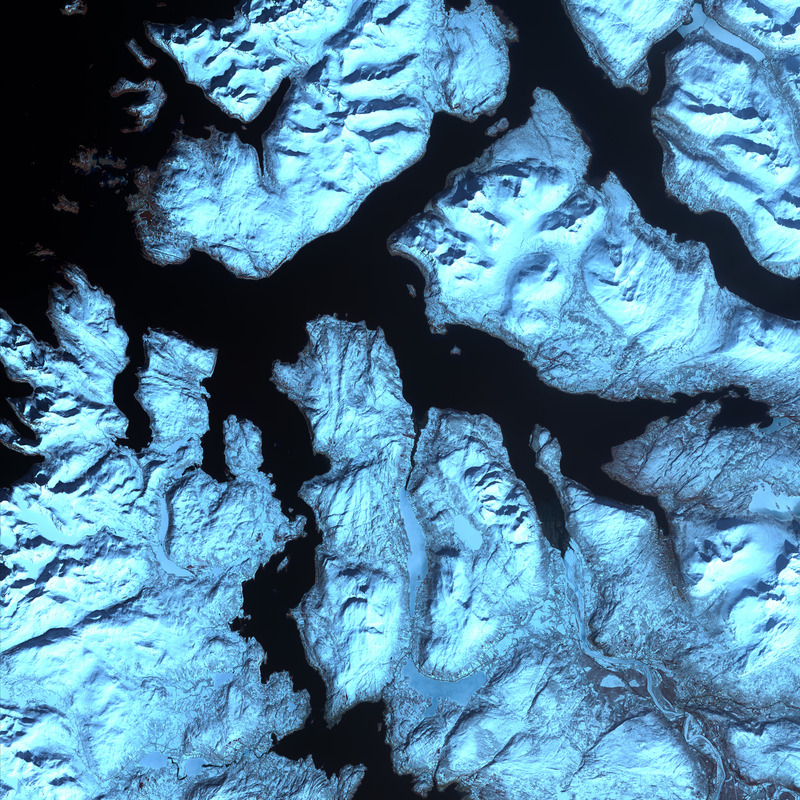 Flanked by snow capped peaks, some of these ice-sculpted fjords are hundreds of meters deep. 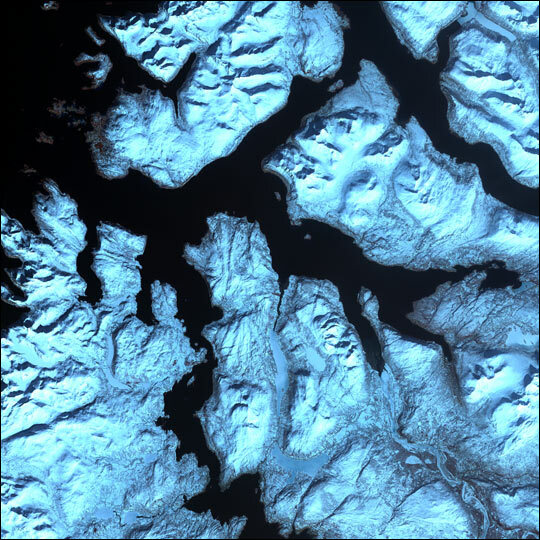 This scene was acquired by the ASTER instrument on NASA’s Terra satellite on April 17, 2002.